Marketing is inherently people-led. Every great marketer needs to understand people in order to sell to them. 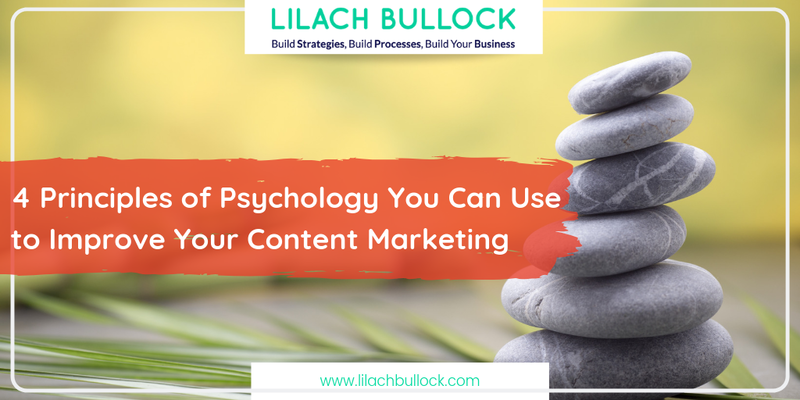 Understanding simple psychological principles and behavioural patterns can boost your content efforts, and make you rethink the content you’re already creating. 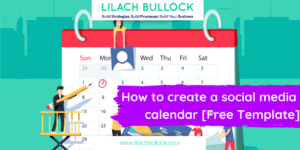 Before you start getting carried away – make sure you’ve got a proper content strategy and editorial calendar in place. As part of your content planning process, consider whether these four psychological principles could work for you? People don’t like feeling sidelined or like they aren’t in the thick of things – capitalise on this anxiety by embracing social proof. The best kind of social proof for FOMO is natural, engaging, and has a bit of an edge. Bland and thinly veiled sponsored content or ads aren’t going to cut it – real social proof has a distinct voice which is narrative and gritty. 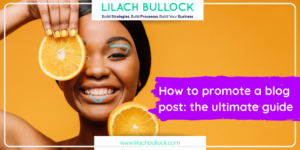 Many businesses aren’t confident enough to embrace social proof as part of their content strategy, which is a shame as it can have loads of business benefits! Encourage people to share content with you at every stage of their journey with you – and then share it, like it, and comment on it. The key to success is continuous engagement – don’t let people engage with you without giving back to them. 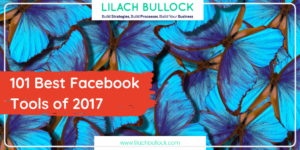 This strategy works for all businesses, big or small – you just need to cultivate strong relationships with your clients and customers. Scarcity and urgency are also good FOMO strategies, but you have to tread carefully here. 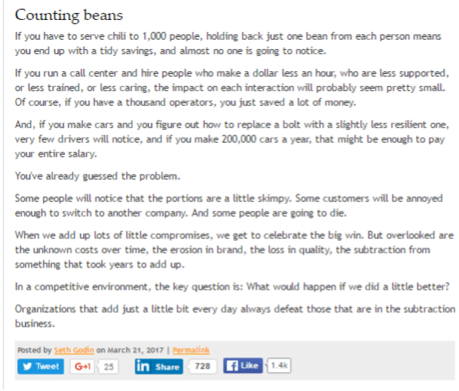 Too much urgency may devalue your offering, and a simple stock counter probably isn’t enough of a scarcity driver. Focus on the exclusivity and the timeliness of your offering instead. 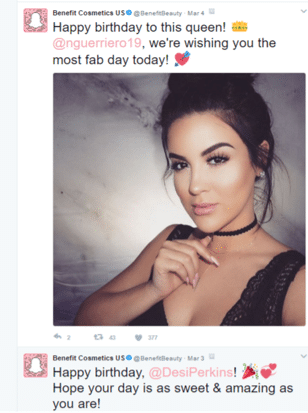 US beauty brand Benefit cosmetics have partnered up with all the biggest beauty bloggers and vloggers – whisking them away on islands and wishing them happy birthday. 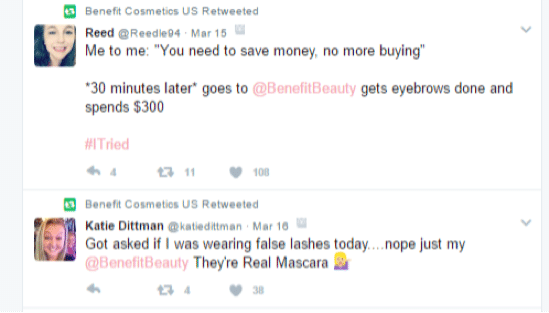 This constant stream of endorsements from some of the biggest names in the beauty industry keeps their social feeds busy. But away from the limelight, they also take time to share shoutouts from the ‘everyday’ people who use their products. Their active engagement with their clientele, big or small, adds humour to their social strategy and makes their social feeds less about Benefit, more about customer benefits. 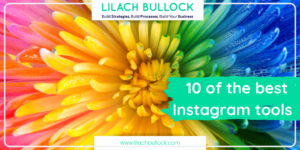 Share everything that customers say about you or tag you in – don’t worry if it doesn’t necessarily sound like something you would say – that’s a good thing! Work with the influencers in your niche, whether that’s editors, journalists, or local businesses. 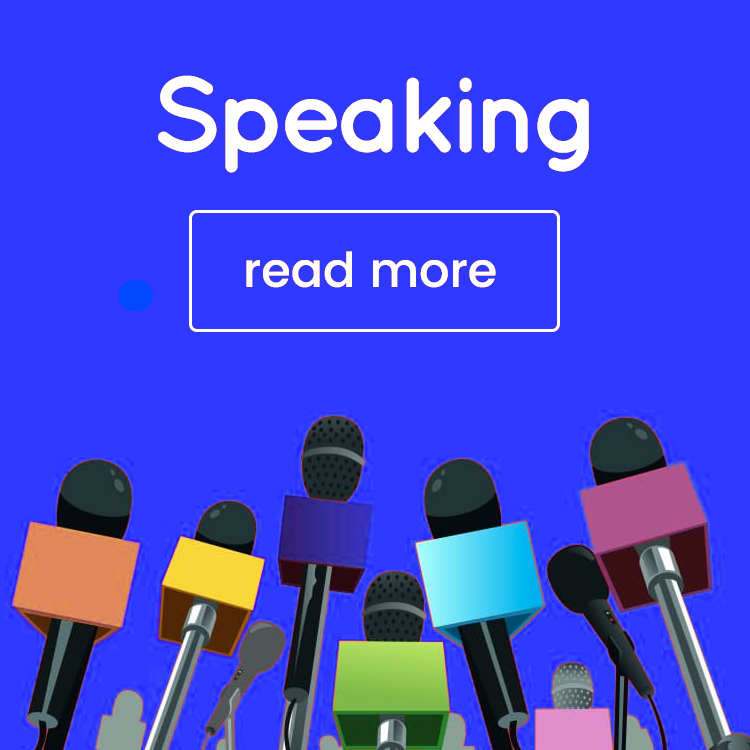 An influencer for your business doesn’t need to be someone with global, or even national, reach – just someone who can make a difference to your sales and brand awareness. Sometimes there is just too much going on in this world – too many choices, too many options. People are definitely starting to suffer from ‘content overload’ so be picky with what you add to the mix. Sometimes, less is more – people find it hard to make choices if they’re given too many options. 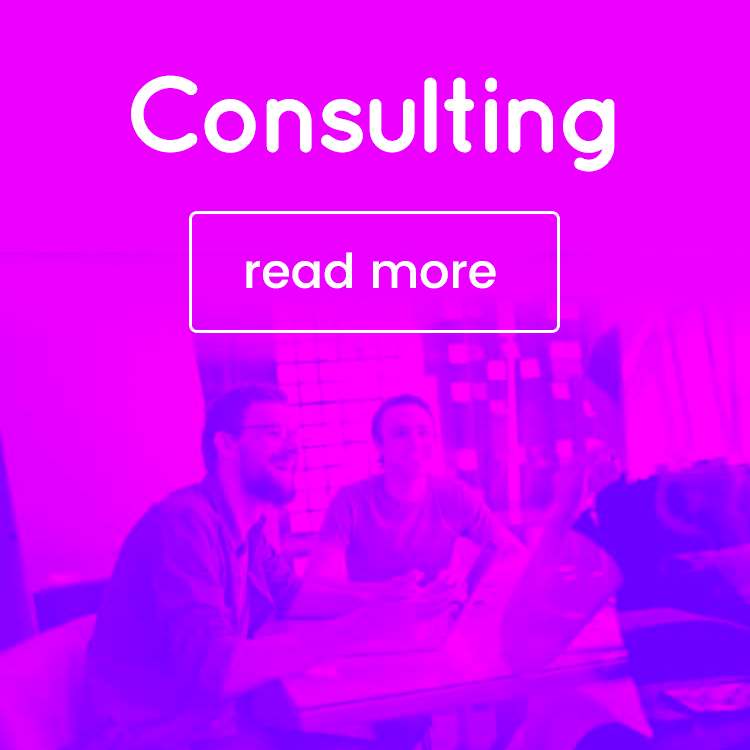 Choosing from 3-4 services is probably enough for anyone browsing your site. Keep your content focused around your core offering on sales pages, and don’t bombard the user with conflicting calls-to-action. Spend time creating more meaningful content and promoting it, rather than being fixated on constantly churning out posts. Scaling your content efforts back will give you a bit more space and perspective – which can only be a good thing. 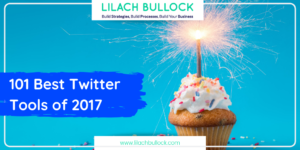 Seth has perfected short form content – sharing blogs about life, marketing, and business that all hover around a few paragraphs in length. Seth’s posts often connect anecdotal evidences to wider marketing themes, leading to great ‘AHA’ moments that we can consume ‘on the go’. By keeping his blog simple, from the site design to the call to action, the site is supremely streamlined and user-friendly. Don’t always push for more complexity – focus on depth of content and quality. Saying something meaningful can take its own time, so let it develop. Don’t confuse users with loads of calls-to-action if you want them to focus on your content – let your words do the talking. Shareable content doesn’t always have to all the bells and whistles – it just needs to resonate with its readers. Here are some more tips on how to make more shareable content. Selling from a place of fear might not be the best strategy for you. Fear does motivate people, but you might want to try to motivate people instead! The best sales content is subtle and motivational, not overbearing and pushy. Shoving fear down someone’s throat can make you seem a bit sinister. Instead, learn how to use repetition, metaphor, and imagery in order to help your customers visualise their success with your product or service. This tactic is similar to “love based copywriting” which is a reaction against fear-based sales tactics which feel dated. Selling through fear makes your product or service seem potentially negative, and you can easily become associated with failure. Sports brands have adopted motivational language in a big way other the past few years, realising that they need to be part of people’s successes, not failures. Sports England went viral with their lottery-funded #ThisGirlCan video of regular woman exercising. Their message is all about female empowerment and embracing ‘less than perfect’ fitness bodies. Powerful messages can be found if you look a bit deeper. What can you help your customers unlock inside them or achieve for themselves? Celebrate that. Simple motivational messages are often best accompanied by humour and a bit of music. Video is a great uplifting medium that works on an emotional level. People feel more compelled to buy from you if they are in some way already ‘in debt’ to you. Establish relationships and give away stuff for free to get on people’s radars. Sometimes you have to ask your customers or clients to make an effort. Getting the user involved with a personalised quiz or survey can actually improve engagement rates and sales. It’s not about putting up barriers to sale, but about getting people to invest time and effort into relationship they have with you. They’ll find it harder to walk away after that. Excellent content, as well as free trials and samples can be a good way to establish yourself in people’s lives. Sometimes you have to give in order to get. 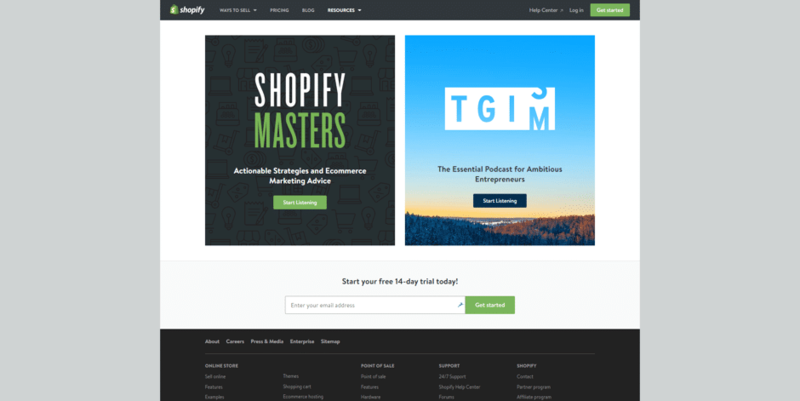 Entrepreneur-focused Shopify offer free webinars, trials, tools, resources and entrepreneur podcasts in order to ‘hook’ entrepreneurs into signing up for an ecommerce subscription. By having so many points of contact and building a mutually beneficial relationship over the course of a few months, Shopify can capitalise on people’s trust for the brand. By getting people to explore their own entrepreneurial dreams with the help of free resources, Shopify are subtly conditioning people to join their seller community. It’s all about building a community, not just selling a product. Capitalise on the principles of reciprocity by trying to instill a sense of indebtedness in your customers and users. Look for ways that you can ‘hook’ your readers on your content and brand by offering relevant resources for free. This will help you build a brand community of loyal repeat customers and advocates. Explore your content from a psychological angle for better and more engaging content. Try to get under people’s skins and deliver content to them that they just can’t say ‘no’ to. What psychological triggers do you think will have the most impact on your customers, and why? 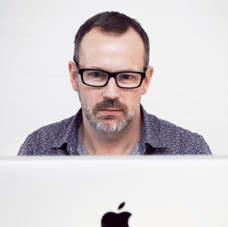 Patrick Foster – I’m an ecommerce writer and coach, fascinated with all things content marketing. I contribute to a variety of entrepreneurial websites and I am always looking for new digital challenges and ways to help people make the most out of their businesses. Power to the entrepreneur and hustler! Come say hi on Twitter. 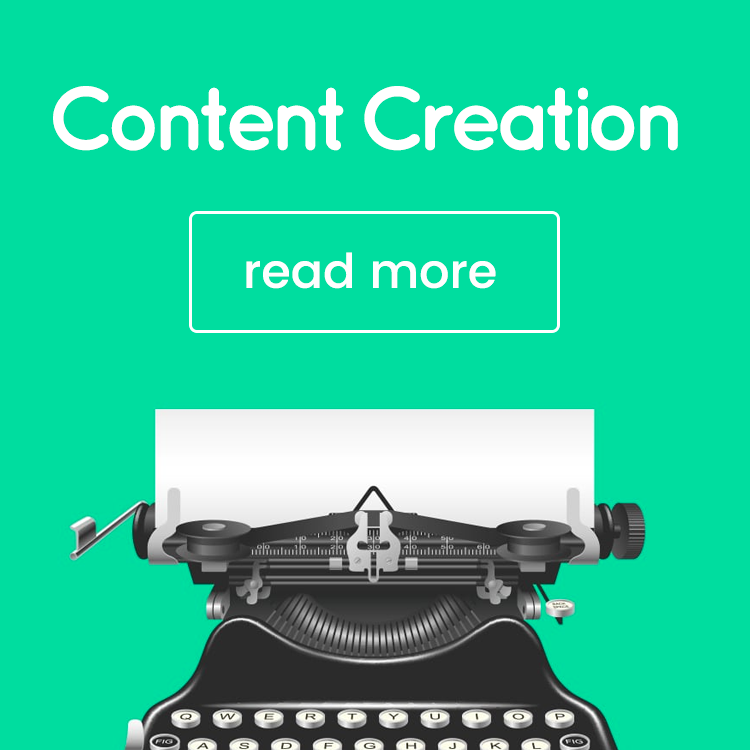 These are definitely some great tips for anyone who is using content marketing. So true about not being pushy with sales. No one wants to be constantly sold to. As a blogger, it’s important to build relationships with our readers, eventually, as they start trusting us and know that we’re really there to help them, they will buy our products, services or whatever it is we’re selling. Great reminder that we should be focused on building relationships first. Thanks for sharing these content marketing tips with us. I know they will help so many people.